How many of you ninjas went beyond wild in the pit during King 810’s performance during Juggalo Weekend 2016 in Detroit at Harpos or witnessed their intense stage show when they were touring with Kansas City King Tech N9ne of Strange Music?! I know quite of few of us at FLH did! We have some exciting news regarding their comeback! KING 810 have emerged from a brief period of hibernation fully revitalized and ready to release their gripping third album. 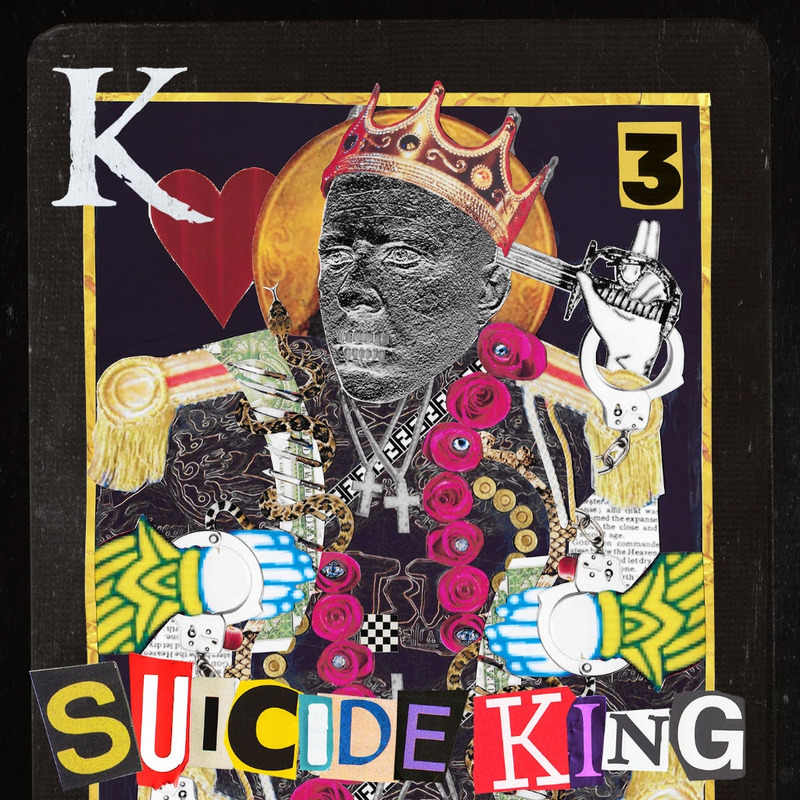 SUICIDE KING arrives on January 25, 2019. The band is self-releasing the album. SUICIDE KING is available for pre-order via exclusive merch bundles that include limited edition black smoke vinyl — all sold exclusively through the band’s Big Cartel store. SUICIDE KING was produced by David Gunn and Producer Josh Schroeder in the band’s native Michigan. Additionally, the Rust-Belt Capital based group has shared the brand new song “Heartbeats.” The track marks the first taste of much-awaited new music from the band since the 2017-issued Queen EP.